The doors were thrown open, and the guards jumped back, surprised. The King looked up. A man in the royal colours moved swiftly to the front of the chamber, bowing before the King. "Ah, you again. Rise! Why have you come into my hall unannounced?" "Your Majesty, there's an army gathering at the edge of our kingdom. It is a lot sooner than we expected, and I'm not sure how ready we are for battle." "We've been preparing for weeks. Have you nothing to show for it?" "But sire, we have no people!" Start off as a peasant, and work your way up the financial ladder; create clothing for your own avatars, and sell them to the other users; steal from shops; rise above your peers and gain the favour of the nobles in your town - become one of them. Or found your own village and watch a community grow from your character's sweat and toil. 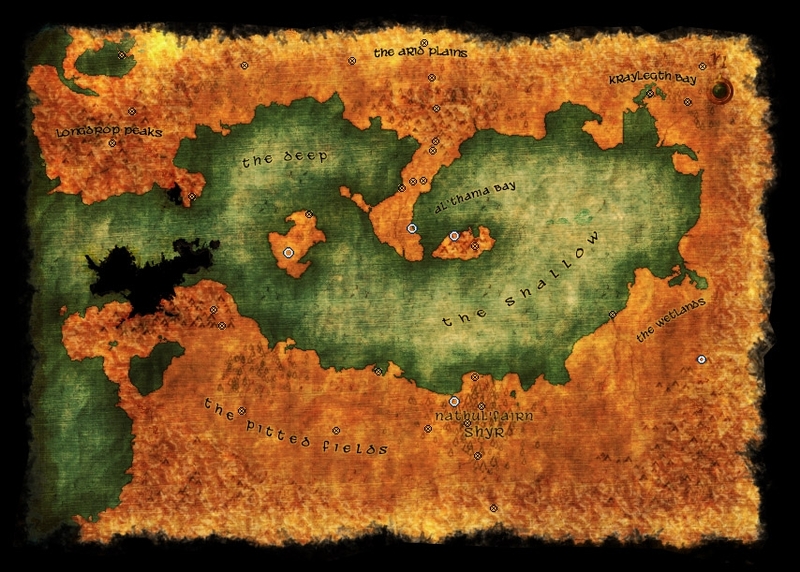 Anathema Online offers you the world marked out on the map below for you to immerse your character. No longer is roleplay restricted to individual forum threads, or to one or two vaguely linked chatrooms. You have an entire world to explore. Anything is possible. You are only limited by your own creativity. Welcome to roleplaying. Welcome to Anathema Online. There is no one online at this time.